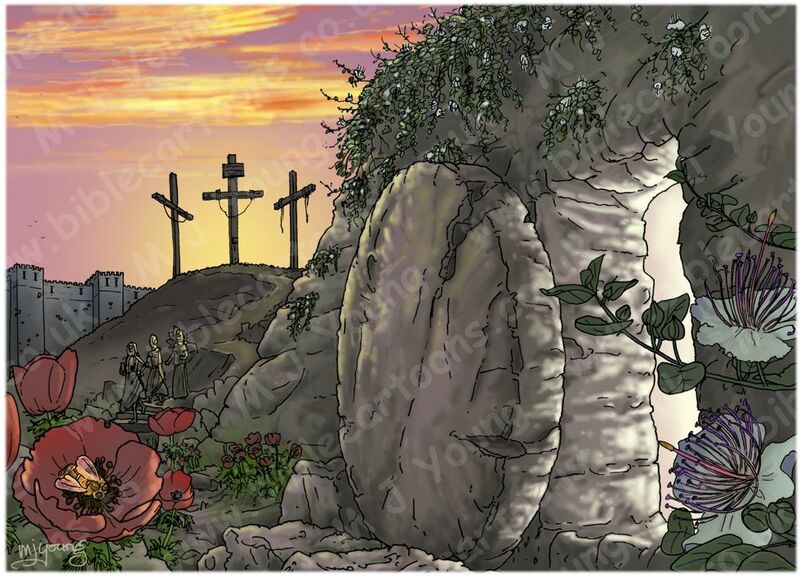 I thought it would be good to draw this scene, as it is only a few days before Easter 2018; I’ve really enjoyed drawing it. 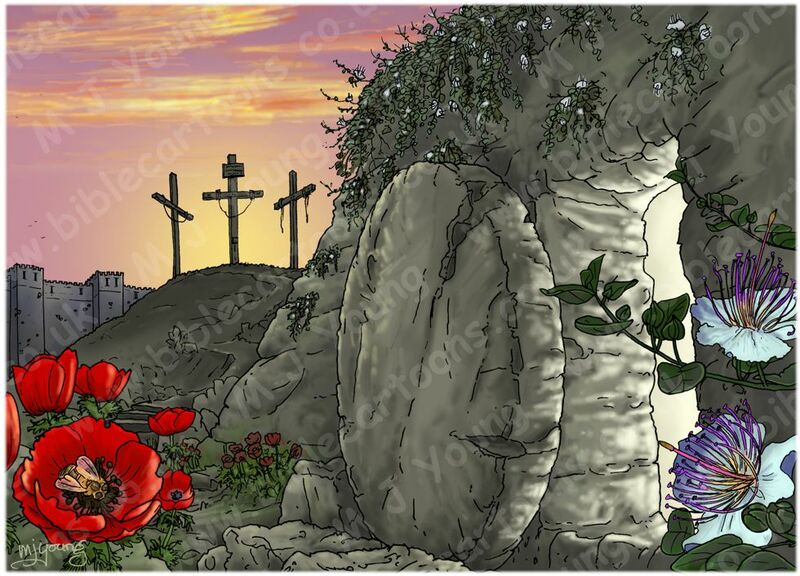 In fact there are two versions of this scene, with slightly differing colours and tones in each. 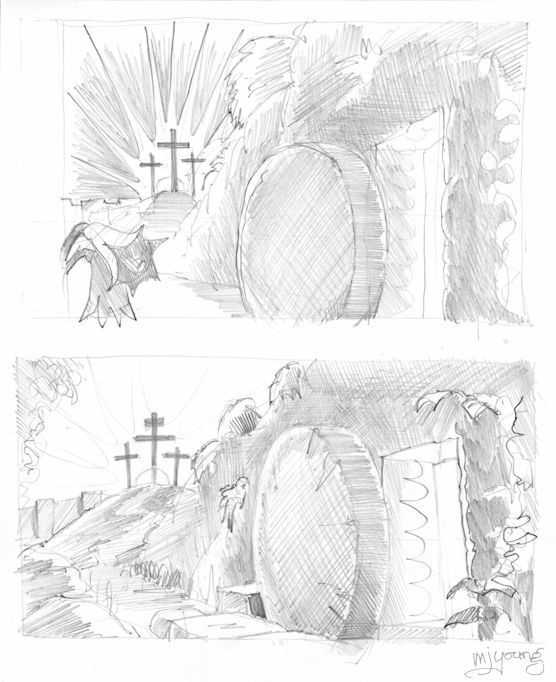 Before I drew the coloured versions I did 2 quick pencil sketches of the picture, to work out what I wanted to include. 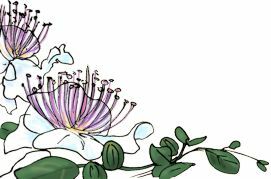 As you can see from the first sketch, I originally intended to include some lilies in the bottom left foreground. 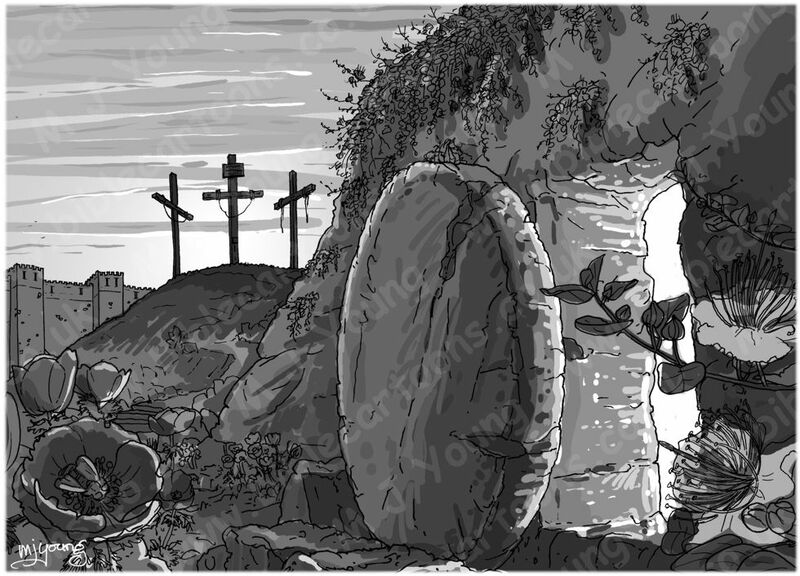 I drew the final version in pen and ink, and created a quick “sketch” on my PC, just using shades of grey as I wanted to make a strong scene with deliberate attention on strong tonal variations in the final scene. It’s easier to achieve that if I disregard colour for a while and focus purely on light and shade, before getting into the colours of the final scene. 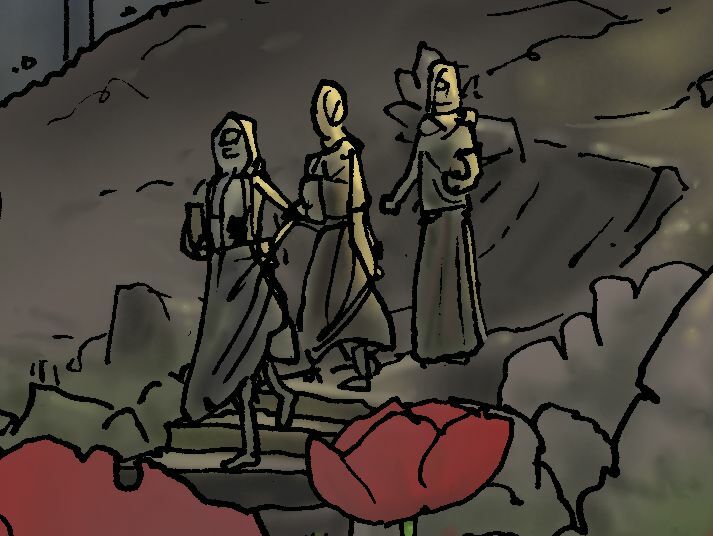 I decided to include some little figures (3 women, including Mary Magdalene) walking down the steps, in Version 02 of this scene. Here’s a close-up of the figures.